Try time: Carnegie's Harry Davey celebrates his try with Josh Bainbridge and Dan Temm. FEW teams will look forward to 2019 as much as Yorkshire Carnegie. Admittedly, Saturday’s important victory at Doncaster Knights meant they only lifted off the bottom of the Championship table by a margin of a solitary point so they still have a massive fight ahead. We can draw a line under those first nine games. I think we did that with our cup performances then we turned around and put in another performance here. I’m extremely, extremely happy with the outcome. Carnegie director of rugby, Chris Stirling. However, it represented so much more and was the ideal way to end what had been a tumultuous first half to the campaign. Indeed, if Chris Elder had not come to the rescue with a glorious individual try in the 68th minute, all the positivity built via five wins from six Championship Cup games, could easily have been shredded in an instant. Carnegie would have been back to square one. But this morning, having finally added to their only previous league win on September 9 and with their raft of new signings bedding in nicely, they are looking only one way. “That victory was hugely important for our plans for the season,” admitted director of rugby Chris Stirling after the bonus point success saw them swap places with Hartpury. “We can draw a line under those first nine games. I think we did that with our cup performances then we turned around and put in another performance here. “I’m extremely, extremely happy with the outcome. “We’ve got a long way to go as the performance is still nowhere near what it should be. “We’re inconsistent. The first 20 minutes of the second half was possibly some of our worst rugby we’ve played all season. No 8 Rory Pitman drove over for Doncaster’s opening try in the 19th minute but Carnegie scored two splendid efforts in quick succession. 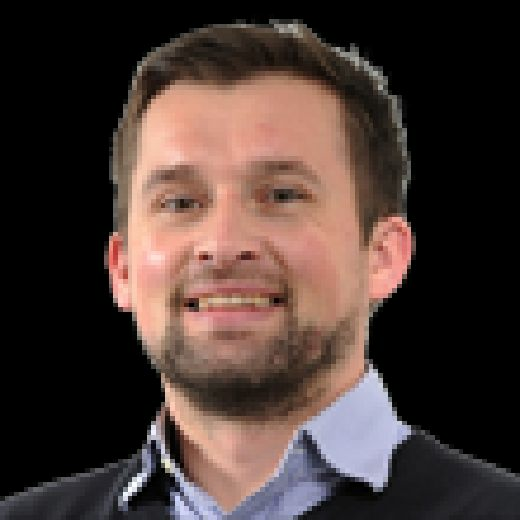 Dan Temm crossed following a fine break by Pete Lucock and then scrum-half JB Bruzulier, after one of the cleverest line-out moves you will see this season, surged through untouched as flanker Josh Bainbridge wheeled away to fool the Doncaster defence. Ollie Stedman responded for Knights, who trailed 15-12 at the break but they started the second period far more assertive, direct and cutting. When Henry Seniloli dashed over on the left wing after a clever line-out move in the 50th minute, Kurt Morath converted and soon added a penalty to put Clive Griffiths’s side on top. From there, it seemed the hosts – with Pitman and lock Josh Tyrell punching holes as well as winger Curtis Wilson and full-back Cameron Cowell’s threatening with pace – would kick on and earn a rare victory of their own. However, crucially, Carnegie’s replacements made a far greater impact, not least former New Zealand Under-20s prop Tom Hill and ex-Wales front-row Craig Mitchell, two of those 10 signings made in recent weeks. They got back in it with a fortunate try, young replacement winger Harry Davey showing great speed after latching onto a hacked kick forward as a Doncaster breakdown malfunctioned. Elder missed the simple conversion attempt to leave his side still trailing 22-20. It could have been disastrous but the winger, who had switched to full-back by this point, produced a stunning solo converted try just three minutes later, weaving through midfield with grace. Elder added a penalty, too, and Doncaster failed to rally. They had an opportunity in stoppage-time when Hill was yellow carded for a professional foul. However, after an interminable wait as the TMO viewed footage, the penalty was reversed after Tyrell was deemed to have illegally cleaned out Richard Mayhew, the fit-again Carnegie captain playing his first game since the opening day of the season. Tyrell was sin-binned and Doncaster’s hopes went with him. Barnsley-born lock Matt Smith made his 100th league appearance for Carnegie but Stirling admitted: “I thought our bench did a great job. When I looked at that, even though we were behind, I was confident when we brought ours on it’d make a difference. “You saw that even though we did make it hard for ourselves. “With Chris’s try, I was wondering if he was going to pass to George (Watkins) on the wing but he went all the way and backed himself. “He’s really come into a good vein of form. He’s doing a great job for us and stepping in with the goal-kicking. For Doncaster, it was a familiar tale as they got into a winning position but failed to follow through. It was a fifth successive loss in all competitions and – with just three league wins all season – they are now dragged into the battle at the bottom. Carnegie have the momentum but, with key players yet to return and plenty of character, Knights should have enough to escape. 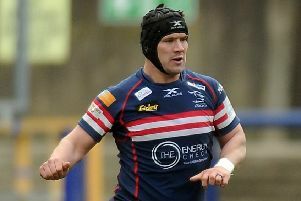 Doncaster Knights: Cowell; Wilson, Creed, Owen, Jarvis (Seniloli 48); Morath (Olver 70), James; Hislop (Williams 70), Hunter (M Mayhew 61), Quigley (Sproston 70), Challinor (Ryan 80), Tyrell, Stedman, Hills, Pitman (Ryan 68). Yorkshire Carnegie: Thoroughgood (Davey 47); Elder, Forsyth, Watkins; Te Rure, Bruzulier; Thomas (Hill 54), Buckle (Donnellan 76), Foster (Mitchell 56), Lemalu (Wilson 55), Smith, Romaine (R Mayhew 49), Bainbridge, Temm.